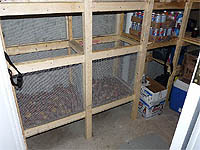 To preserve kitchen vegetables, store canning and beverages why not build a cold storage room or root cellar in your basement? 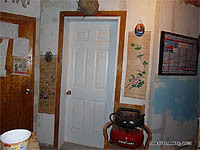 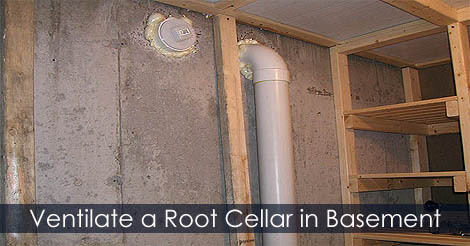 In a corner of your basement, build two walls, drill holes in concrete foundation and you have a vent system. 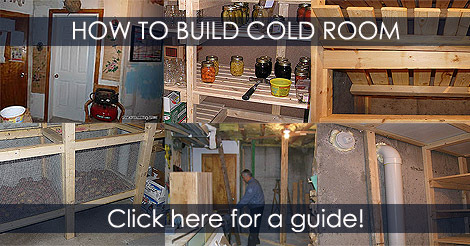 Learn how to frame a root cellar and how to install a vent system in a cold storage room.